Image is everything, so be sure your stationery and letterheads are of the highest quality cause like it or not people judge a company by its image. 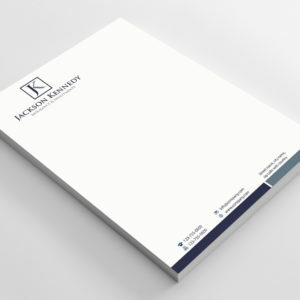 Letterheads are a primary method to communicating and connecting with your clients / customers and with a quality looking design and layout they know that you mean business. So in order to have a visually impacting letterhead design and print then let ClickPrinting.ie look after you. We will produce a professionally design and printed letterhead that will set a precedence your competitions will only try to follow.